"People are seduced when you do what you like" Passionate Lodia K. Wax fabric Lodia K. is the designer of the brand BaZara'Pagne. For two years, the brand made its way into the fashion world with accessories and clothes made based Wax loincloth. 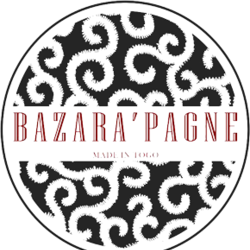 BaZara'Pagne is the realization of his passions.